on account of their faith. Some time after The Peace of Augsburg in 1555, a counter reformation against members of Protestant churches in the areas under the rule of the Royal House of Habsburg began. 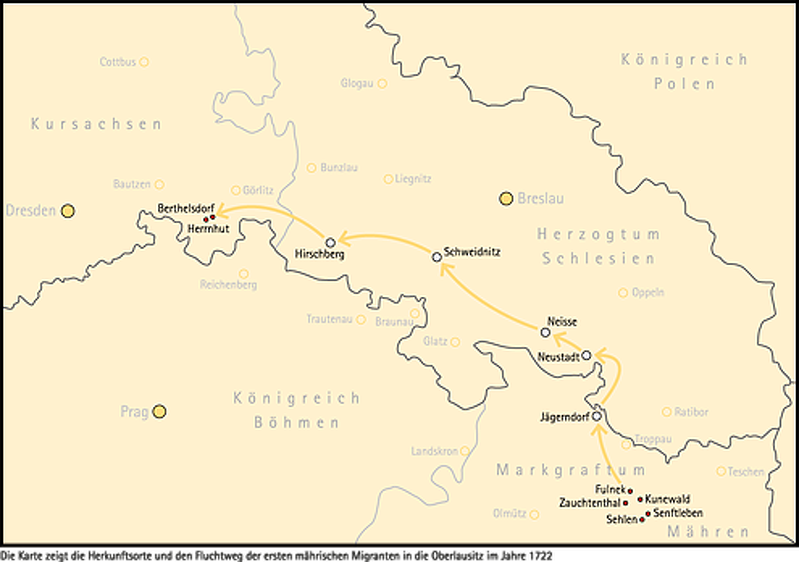 The counter reformation was motivated by political in-fighting and caused Protestants to seek refuge in Lutheran Saxony. With the settling of the first two families, the fast growing community of Herrnhut (meaning under the Lord’s protection) was founded. recatholicised Habsburg regions of Bohemia and Moravia. Others came from Silesia, Scandinavia and the Kingdom of Germany. Zinzendorfplatz, as we know it today, was the centre of the young settlement of Herrnhut. Around this central square we see the Congregational Hall (Church Meeting Room) and the Choir Houses, consisting of Sisters´ House, Brothers´ House and Widows´ House, attached to which are the living and business accommodation for the families. God’s acre is depicted in the foreground to right, although in reality it lays north east of the town centre. Shortly after the founding of the Moravian Church, the brothers and sisters sent missionaries out from amongst them into the far off corners of the world. 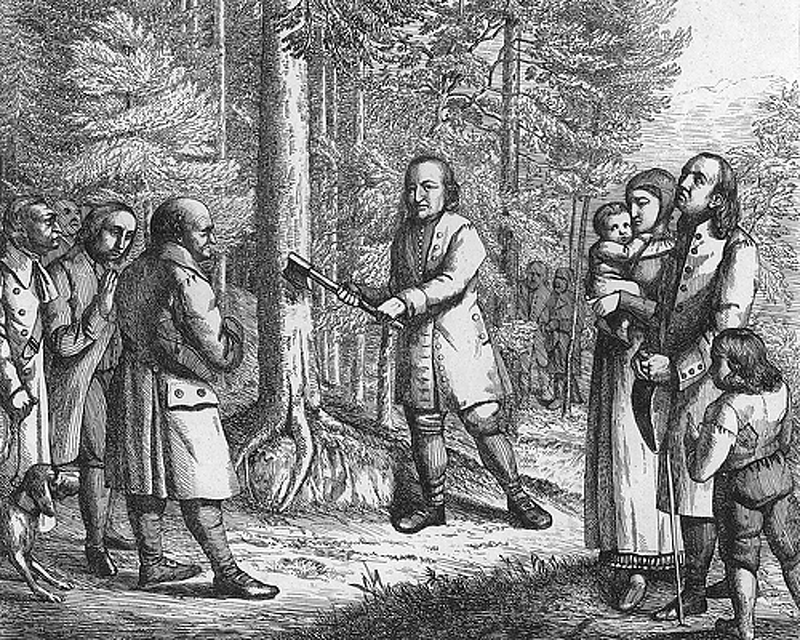 Their goal was the spreading of the Christian Gospel which, according to the Herrnhut congregation, included the education and the promotion of self-sufficiency amongst the indigenous people. 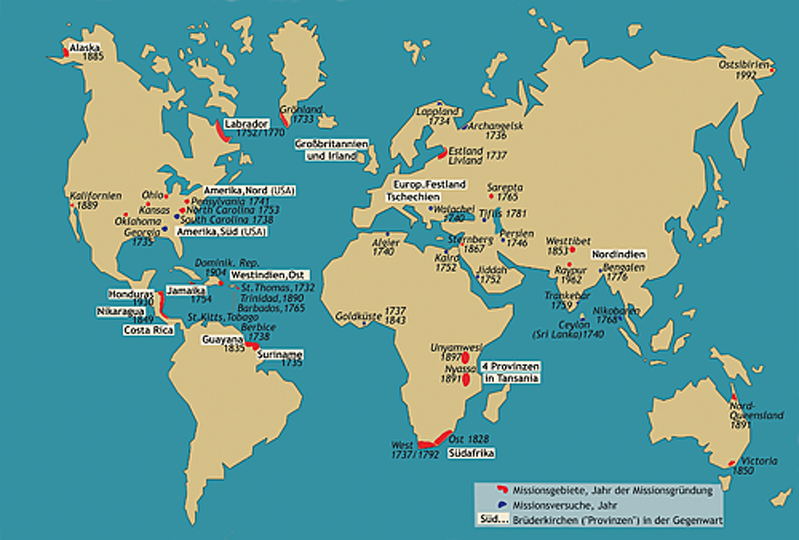 On the basis of the missionary work the “Herrnhuter Brüdergemeine” became a worldwide church with independent provinces in Africa, Asia, America and Europe – outside of Germany it is also called “Moravian Church” or “Iglesia Morava”. Today the Moravian Church has about 6.000 members in Germany and about 1.040.500 members worldwide. The head office is still in Herrnhut. The Herrnhut Star, which originated over 160 years ago in the Renewed Moravia Church, is considered the source of all handmade Christmas stars. 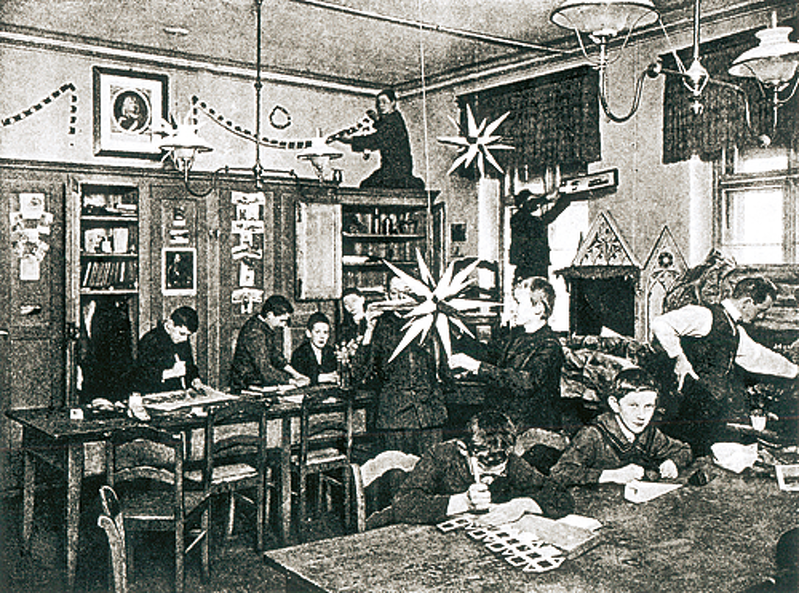 At the beginning of the 19th century, the first star made of paper and cardboard shone in the rooms of the boarding school of the Moravian Church. 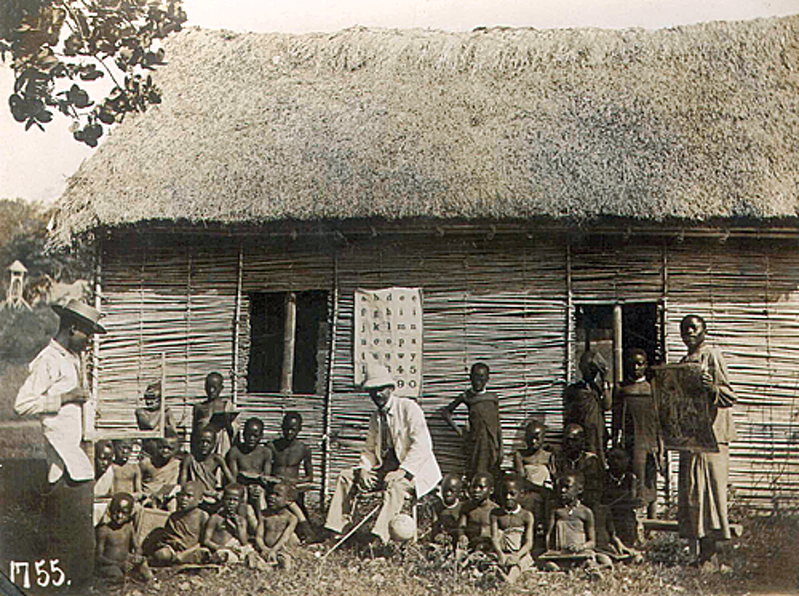 Since living conditions in the missionary territories were often very adverse, parents sent their school-age children back to their homelands. They received education and upbringing under the aegis of the Moravian Church. 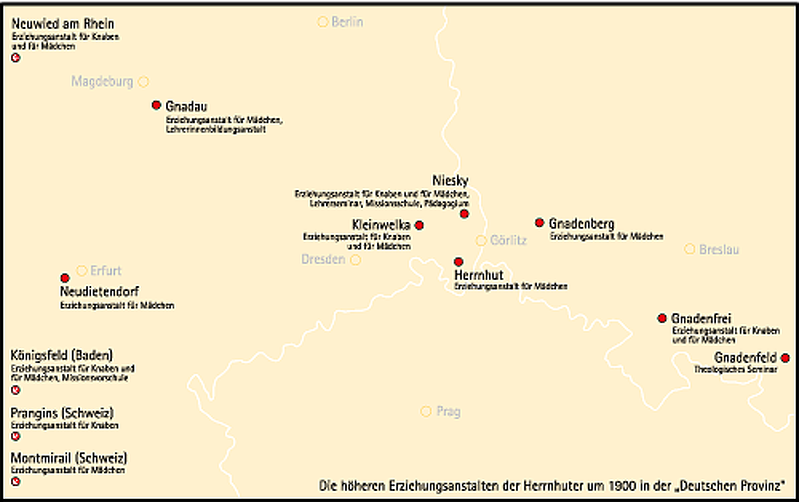 Map showing the locations of the schools: The educational initiatives had their biggest boom in the 19th century, at the end of which the German Moravian Province had 6 boys’ schools 10 girls’ schools and 20 local schools as well as the “Pädagogium” (school and teachertraining centre) in Niesky. 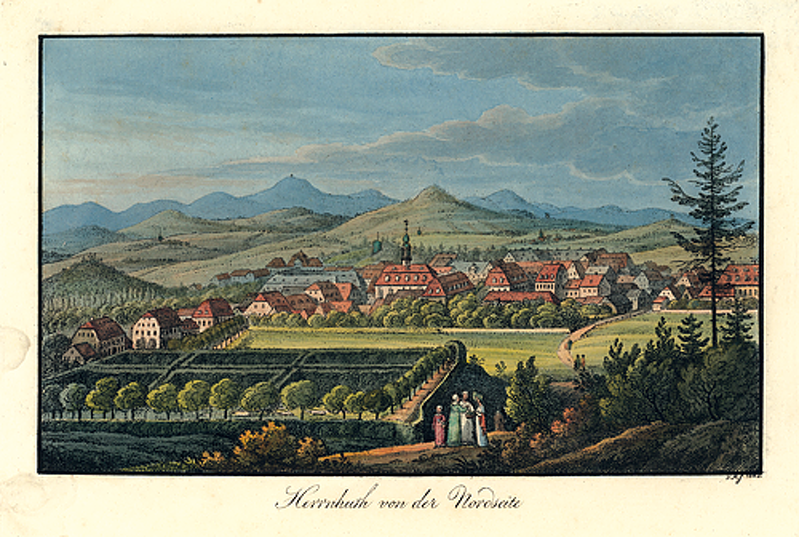 The Moravian schools enjoyed such a good reputation in the mid- 18th century that the Herrnhut congregation found it necessary to issue widespread announcements requesting that children who were not registered should under no circumstances be sent to their schools. 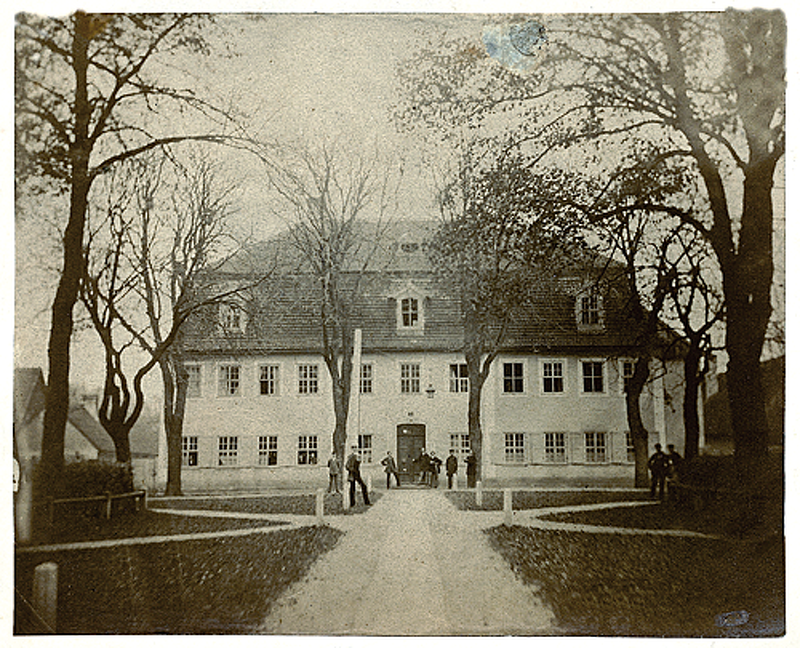 Instead, the schools then and now, mirror the philosophy of the Moravian Church and are modelled on the holistic approach of religious, social and scientific study combined with practical education and training. Of course, these boarding schools could not take the place of home. Being separated from their parents was very painful for the children, especially during the Advent and Christmas season. Hence the star as a symbol of the Bible story was a welcome helpmate. A teacher first used the star in mathematics class as a way to help children better understand geometry. He let the children at the boarding school construct stars of various geometrical shapes and these stars later adorned the schoolrooms. The first stars were coloured white and red – white for purity and red for the blood of Jesus Christ. From then on, the children always crafted their stars on the first Sunday in Advent and carried this custom back to their families.